People who move to the country don't have a right to a quiet environment, according to the head of one of Michigan's major renewable energy advocacy groups. 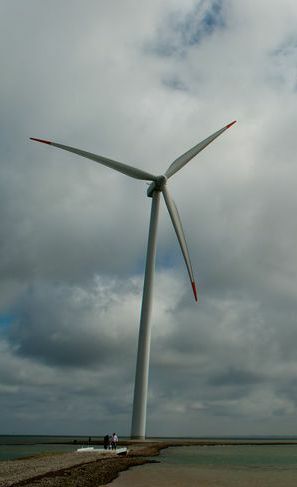 John Sarver, executive director of the Great Lakes Renewable Energy Association, made the statement in an email to colleagues in February 2011. It was one of numerous emails obtained through a Freedom Of Information Act request pertaining to wind turbine noise level issues in Michigan. The Great Lakes Renewable Energy Association supports the Michigan Energy, Michigan Jobs proposal, also called the 25/25 proposal. If passed, the proposal would require 25 percent of Michigan's energy come from renewable sources — primarily wind — by 2025. It would also likely require utilities to push wind farms into an increasing number of areas. The following message was sent by Sarver from his iPad on the afternoon of Feb. 22, 2011. "I guess I have a number of conceptual issues," Sarver said. "Relative rather than absolute standards seem to indicate that you can't change the status quo in a rural area. I understand that many people live or move to rural areas for the country views and quiet. But individuals do not have rights to quiet or nice views. "Government decisions that effect [sic] how individuals can use their property have to be based on clear cut evidence," Sarver continued. "We know that a significant number of persons are annoyed by wind farms. Probably a significant number of people are annoyed by cell towers, Walmarts, prisons, etc. To me the question is how many folks wake up at night frequently so this effects [sic] their health. I haven't seen any numbers yet that are convincing. I still wonder about that 60 dB air conditioner sitting on the other side of the wall." Before coming to the renewable energy association, Sarver was program manager at the State Energy Office under former Gov. Jennifer Granholm. He did not respond to an email for comment. Rep. Aric Nesbitt, R-Lawton, a member of the House Energy and Technology Committee, drew his own conclusions upon hearing what Sarver said in the email. "Sounds like, once again, we have a liberal advocating for central planning to dictate rather than letting residents make these decisions for themselves," Rep. Nesbitt said. "Basically, the way they look at things, it's that central planners know best. "This (the 25/25 proposal) would put wording in our constitution that favors certain kinds of energy sources. It would take away local control, leave decisions to central planners and raise energy prices for families and small businesses that can least afford it." A 34-year veteran of state government, Sarver is best known for his efforts to promote solar and wind energy. His Feb. 22, 2011 message came roughly two months before an email in which he recommended that state bureaucrats delete emails from a discussion concerning what to do about a pending report that seemed likely to recommend lower noise limits for wind turbines.